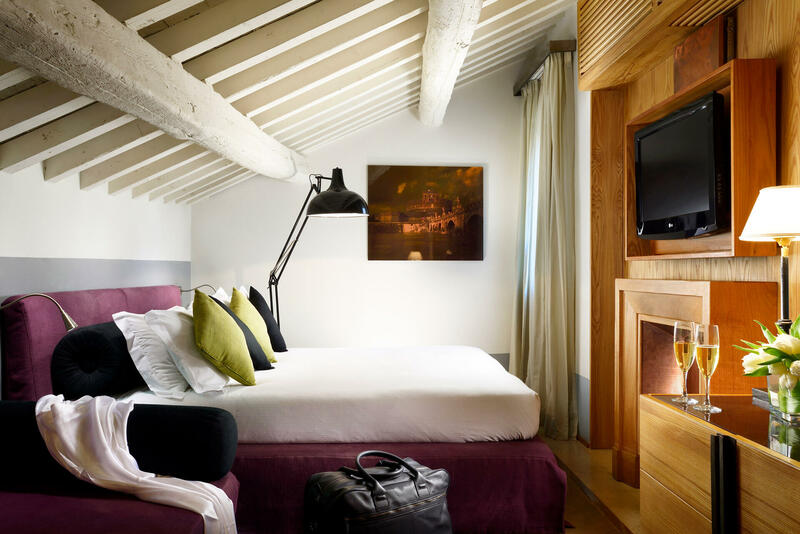 Deluxe studios at Mario de’ Fiori 37 make for a wonderfully stylish escape. 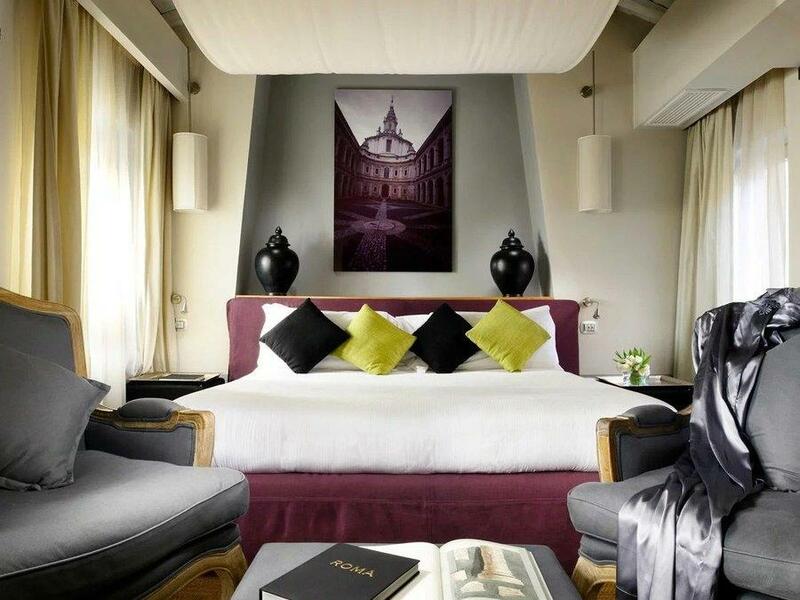 Soothing white and clean lines get punched up with warm wood accents and original photographs of Rome monuments. 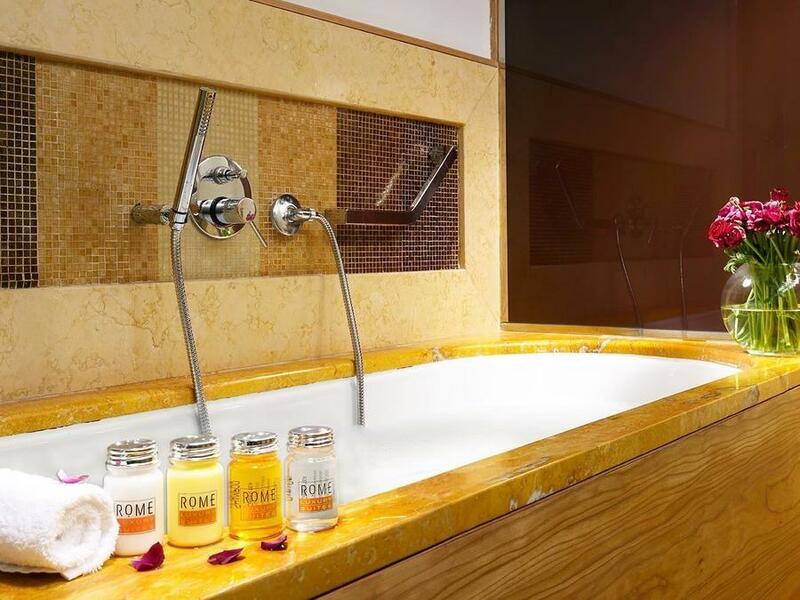 The suite features a king-size canopy bed with Frette sheets and a beautifully designed bathroom with a full bath, lovingly outfitted in marble and mosaic. 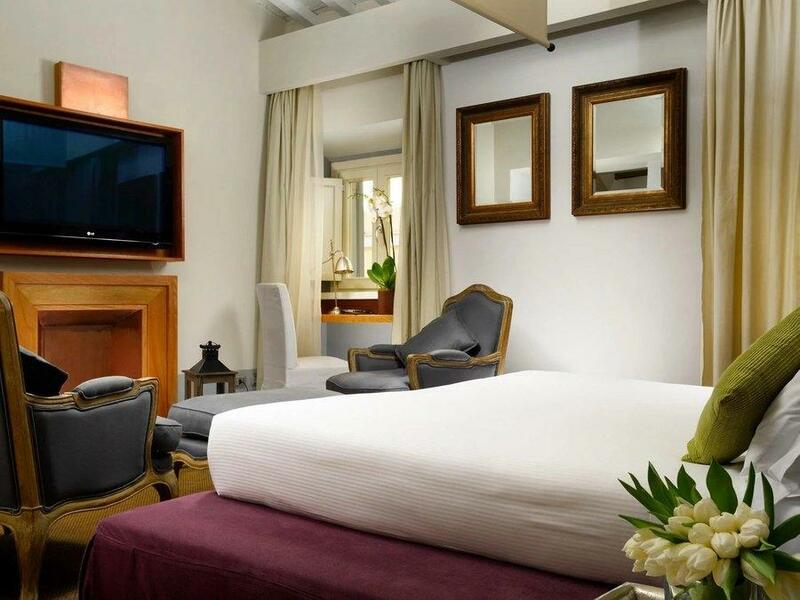 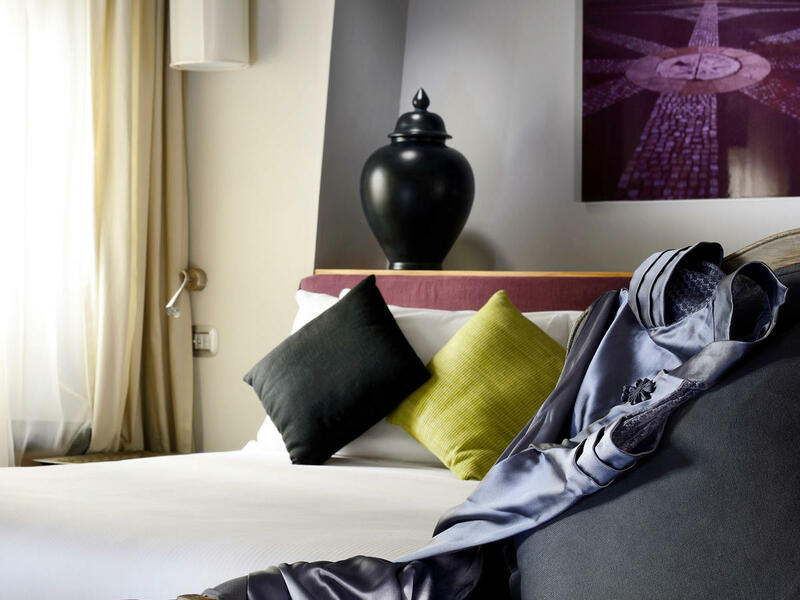 Our boutique accommodation is a marriage of comfort and style that makes for a perfect base in central Rome.